Address: PARC, Headquarters, 20 Attaturk Avenue Sector G-5/1, Islamabad. Get PARC Jobs 2018 Pakistan Agricultural Research Council Online Form from www.pts.org.pk. Applications are being invited from the Pakistan Agricultural Research Council is looking to start project "National Pesticide Residues Monitoring System in Pakistan" and for this purpose it is looking to hire the well experienced, adroit, caliber and well-disciplined applicants are required on contract basis initially for which can be extended further so the following posts need to be filled such as (Sr. Scientific Officer, Scientific Officer, Accounts Officer, Principal Lab Technician, Sr. 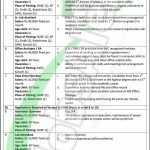 Lab Assistant, Office Assistant/PA, Data Entry Operator, Generator Operator, Lab Attendant, Driver, Sweeper, Naib Qasid, Gardener) are the posts which need to be filled by the applicants before the due date. The qualification which is required for these posts includes Ph.D./MPhil/MSc/MBA/ACMA/CA/BSc/BBA/BA/BCS/FSc/FA/Matric/Middle/Primary. Now, I will throw light on its rest of the details below. PARC is abbreviated as Pakistan Agricultural Research Council is the federal government body which is working under Govt of Pakistan and is having the main objective to strengthen and agriculture systems of the country of provincial and federal components. Being a Govt department it offers Govt jobs of all levels and latest PARC Pakistan Agricultural Research Council Jobs 2018 are announced today which can be examined from the following. Applicants wanted to apply for Sr. No. 1 to 7 are suggested to download an application form from the official site of PTS such as pts.org.pk. Application form filled carefully along with paid deposit slip of test fee and other documents should reach the PTS head office Islamabad. For positions at Sr. No. 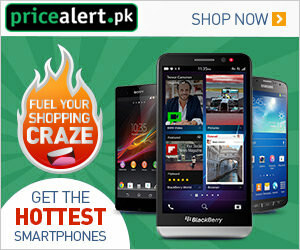 8 to 13 application form shall be downloaded from the official site PARC www.parc.gov.pk. Duly filled an application form along with attested copies of educational certificate, experience certificate, CNIC, domicile and recent photographs should reach the following address given below. The last date for submission of application is November 17, 2018. Incomplete applications or received after the due date will not be entertained for the selection procedure. Last Date For Apply: November 17, 2018. Address: PTS Headquarters, 3rd Floor, Adeel Plaza, Fazl-e-Haq Road, Blue Area, Islamabad.